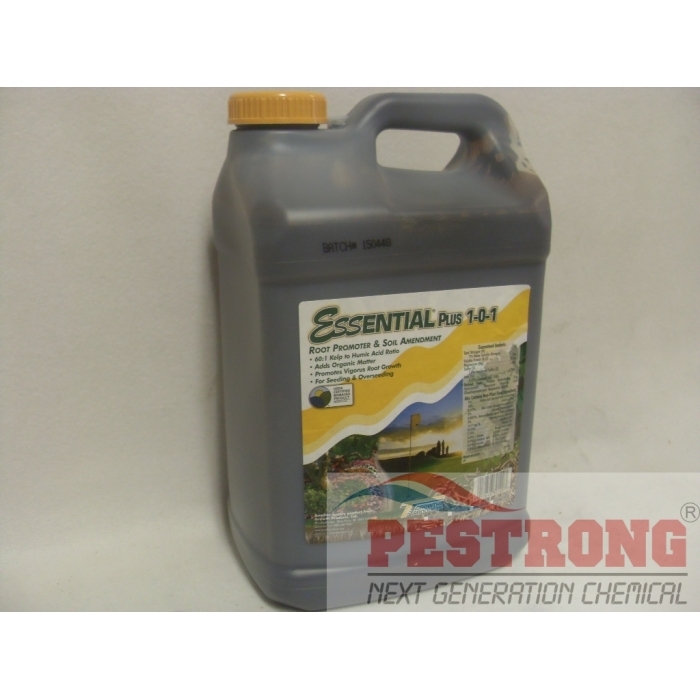 Where to Buy Essential Plus 1-0-1, Essential Plus 1-0-1 - Qt - Gal - 2.5 Gal - $24.95 for Sale with Fast Free Shipping! Essential Plus 1-0-1 - Qt - Gal - 2.5 Gal is a soil amendment and root stimulator /w 21 L-Amino Acids that is a 100% natural organic product derived from plant and vegetative products provides a rich carbon source of organic matter. Pendulum 3.3 EC Herbicide Pendimethalin -..
Osmocote Blue-Max 2-3M Aluminum Sulfate -.. Essential is pasteurized and homogenized to be a homogeneous solution. Derived From: Kelp (Ascophyllum nodosum), Potassium Humate, Gibberellic Acid, Fish Hydrolysate, Plant Extracts, Simple and Complex Sugars and Iron Glucoheptonate. This is my 2nd order. I have used compost manure before try this. After I used cow wow, The lawn and shrubs turned dark green and looks more healthy. This cow wow is best fertilizer.